Oh Charlie, could you be any sweeter? Charlie is on the cusp of ten months, and so much fun. He came by for a holiday portraits in November and now, at his Valentine’s day shoot a few weeks later, he is even more active. He is itching to walk, and just as giggly as ever. He’s a wild man! It’s so exciting and fun to watch him grow. I’m so honored I get to photograph it! There are so many families near me in Manhattan, which is wonderful. The only bad thing about being a New York City baby photographer is that you can’t easily work outdoors in the winter. Thus, the importance of the studio shoot! I love the natural beauty of outdoor shoots, but enjoy working with studio lighting indoors, and on location at people’s apartments/houses. We did this shoot in Greenwich Village. Charlie is such an inquisitive little fellow, and he really loves to laugh. He is just so charming. I’ve written about how to prep for a family photo shoot but when photographing one baby, it really just comes down to choosing some cute outfits, and timing the shoot around the baby’s nap. Easy breezy. Here’s a lovely review Charlie’s mother left for me. And I agree: it’s so great to be a part of clients’ special moments. I love watching their families grow, and documenting all the fun along the way. It is an honor to be a part of it all. I can’t wait to see what comes next! Anyway, back to the subject at hand: Older babies are so much fun to photograph – send me your older babies! I’ll be doing a limited number of Valentine’s Day shoots through the first week of February, and studio shoots for kids year round. Use the form below to reserve your shoot! Daisy Beatty is a photographer in NYC and the Hamptons. She specializes in vibrant, stylish images of babies, newborns, maternity and families. 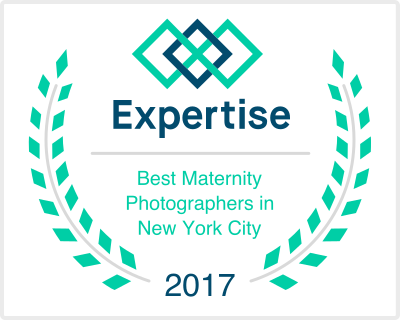 She loves being a New York City baby photographer, family photographer, and maternity photographer. She proudly serves Manhattan, Brooklyn, Queens, The Bronx and Staten Island, as well as Hoboken, Westchester, and Greenwich CT and beyond. She works outdoors and on location at clients’ apartment and houses, and utilizes natural light and studio light for stylish, flattering portraits in any conditions, all year long. UPDATE: check out Charlie’s first birthday shoot cake smash!